Changes have been made to the ITV service in parts of Central and Southern England today. The changes have resulted in some Freeview households needing to retune to regain ITV. On both Freeview and satellite services, scheduled recordings may need to be reset. The impact will vary, depending on equipment. Central South West: Viewers in Herefordshire, parts of Worcestershire and parts of Gloucester receiving ITV Central from the Ridge Hill transmitter or ITV Central via satellite have been moved to the ITV Central West Midlands advertising region. Central South / Meridian Thames Valley: Oxfordshire and surrounding areas is now a full part of the ITV Meridian region, Oxfordshire is now part of the ITV Meridian Thames Valley sub-region. ITV+1 has switched from Central to Meridian and ITV HD has also switched from Central to Meridian news and adverts. ITV+1 and ITV HD will carry Meridian news from another part of the Meridian region, but will contain pan-regional advertising aimed at covering Oxfordshire and all other areas surrounding London. 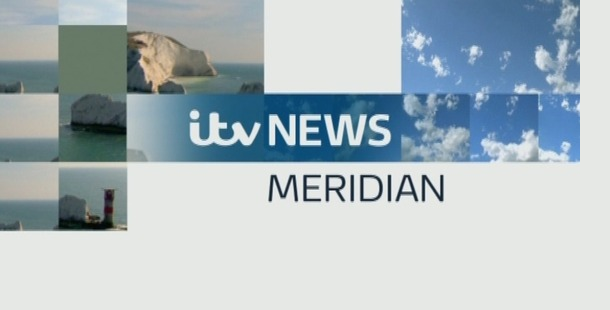 Meridian South West Sussex viewers receiving from the Midhurst transmitter group are being switched from Meridian South East to Meridian South on the main ITV channel 3 service. This mostly means a change in advertising. On Sky, affected viewers may see other versions of ITV on channels 981, 982 and 983, depending on where they live. These are temporary services, giving viewers time to set series links on the new ITV variants further up the Electronic Programme Guide. ITV viewer services advise that "Freeview viewers who require further information or assistance should contact the Freeview Advice Line on 03456 505050. Retuning instructions are available here: http://www.digitaluk.co.uk/howtoretune"
These changes were agreed upon in the run-up to ITV's recent Channel 3 licence renewal. ITV has been reviewing its regional news and advertising regions. The Central South region - the area stretching from the Welsh border across Herefordshire, parts of Worcestershire, over the Cotswalds into Oxfordshire and the Buckinghamshire border has officially closed, several years after regional programming for Central South ended. For the last few years, viewers in the Oxfordshire part of the ex-Central South region have received local news from ITV Meridian, but other regional programmes and advertising from Central. Viewers in the Herefordshire and Worcestershire part of the ex-Central South have continued to share some advertising with the other part of the Central South region, but have received news from Central West in Birmingham since the end of Central News South. Now ITV Central in Herefordshire and Worcestershire (Central South West) has been fully replaced with Central West news and advertising. The Oxfordshire part has now fully merged with Meridian North to form an official Meridian Thames Valley region, as per the latest Channel 3 licence - this also affects +1 and HD - although the version of Meridian on +1 and HD isn't the Thames Valley version. Does my regional news change? No changes to ITV regional news have been made, but some viewers will find a different news service carried on +1 and HD. On Freeview, some receivers can't make the automatic switch from the old ITV services to the new. It's to do with the data being broadcast with the ITV signal. Why do I have to reset series links? Series links would have been set to the old ITV variants. These series links now need attaching to the new ITV variants. Do I have to retune on Sky/Freesat? The changes should have been done automatically in the background. If they haven't, please try turning off your satellite receiver for a couple of minutes. Do I have to retune on Virgin Media? The changes should have been done automatically in the background. Can any hope be offered that Oxfordshire HD viewers, on Sky in particular, will ever get a service of their most relevant local news without having to button switch back to dear old SD? Under the change it appears HD Oxfordshire viewers will still get a service of news with little relevance as they'll simply get the Birmingham newsfeed replaced by the one from Southampton and miss out entirely on the Thames Valley service. Just one more satellite transponder would allow this. A little more investment now would sort it out properly for the growing bands on HD viewers. Or is the Thames Valley service only a transitory one that will eventually go anyway? ITV HD is based on ITV's macro advertising regions rather than regional news regions. ITV's regional news commitments currently only apply to SD. Thanks for the reply. While disappointing, and confirmation that sales rather than service drive such changes, at least ITV HD viewers will not be presented with a holding screen in the way they are for BBC regional bulletins. Adopters of advances in technology (HD viewing) really should not have to accept a regression in the viewing service that makes watching their local news more difficult. ITV HD for all regions would require 6 transponders as currently only 4 English regions are in HD, one Scottish STV HD region and UTV. It would be good for it to happen though but I'm sure its not just Oxford that deserves a HD region, as that is actually a sub region so would likely be looked at as secondary. The ones that should have their own HD regions and don't are Wales, West/Westcountry (one will do to start with as they are both part of the same licence now), Yorkshire, Anglia and CI. The sub regions could be when they have the money once the main regions are up and running.